My girls and lets be honest sometimes my boys love to play with make up. It's been so fun to see them play beauty shop. Listening on the other side of the bathroom door is always a riot! Kayleah is usually the beautician and does all the makeup for everyone. I have taken a few pictures of them all done up-but since I only let them play with kid makeup, which is very light in color and light in application, you can't really see what they look like with it on. I'm going to have to turn them loose on some of my old unwanted makeup and get some pics from that! So here are some pictures from my past that are just down right hilarious! 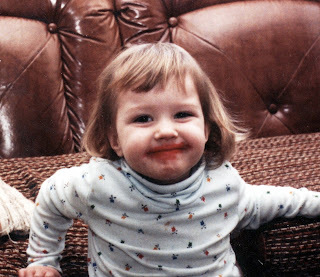 This first one is when I was about 3 or maybe 4 years old and I had gotten into some lipstick that I'm pretty sure wasn't willingly given to me. 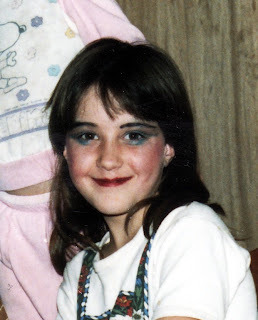 My Aunt RaeAnn actually did all the make up in this picture. My favorite part is that she gave me a "beauty mole"! 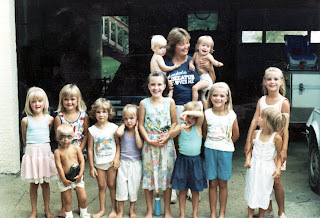 I was so fortunate to grow up around so many cousins, we had such a great time growing up. 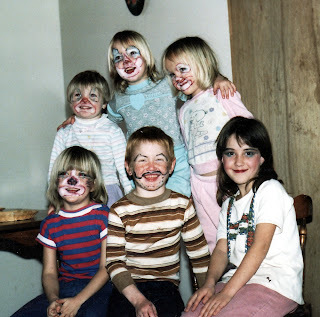 I was the beautician in this picture...you can really see the personalities of everyone in this picture come out-it's quite hilarious! 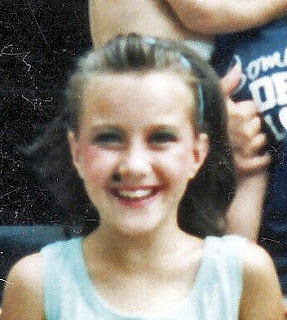 OK so I didn't always wear makeup in a sophisticated manner. 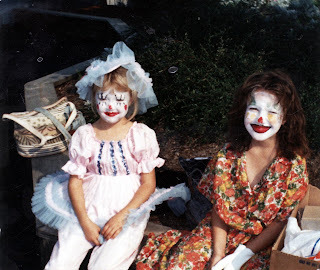 :) Janece and I somehow got roped into being clowns for a day at Wyndot Lake for Teamster Day. Everything we do in this family is HUGE! Jance just said-"That's just the way we roll" LOL! !